Why is the Middle East so at odds with modern life, laggard in everything from literacy to standard of living, from military prowess to political development? A profound new book by Philip Carl Salzman, professor at McGill University, with the deceptively plain title Culture and Conflict in the Middle East (Prometheus), offers a bold and original interpretation of Middle Eastern problems. An anthropologist, Salzman begins by sketching out the two patterns of rule that historically have dominated the Middle East: tribal autonomy and tyrannical centralism. The former pattern, he argues, is distinctive to the region and key to understanding it. Tribal self-rule is based on what Salzman calls balanced opposition, a mechanism whereby those Middle Easterners living in deserts, mountains, and steppes protect life and limb by relying on their extended families. The New Yorker's take on Middle Eastern political patterns. This immensely intricate and subtle system boils down to (1) each person counting on paternal relatives (called agnates) for protection and (2) equal-sized units of agnates confronting each other. Thus, a nuclear family faces off against another nuclear family, a clan faces a clan, and so on, up to the meta-tribal level. 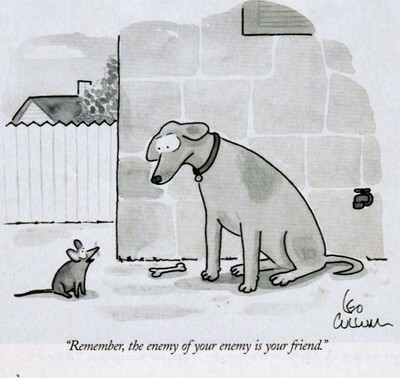 As the well-known Middle Eastern adage sums up these confrontations, "I against my brother, I and my brothers against my cousins, I and my brothers and my cousins against the world." On the positive side, affiliation solidarity allows for a dignified independence from repressive states. Negatively, it implies unending conflict; each group has multiple sworn enemies and feuds often carry on for generations. Tribal autonomy has driven Middle Eastern history, as the great historian Ibn Khaldun observed over six centuries ago. When a government faltered, large tribal confederations would form, leave their arid badlands and seize control of the cities and agricultural lands. Having seized the state, tribes exploited their power unabashedly to forward their own interests, cruelly exploiting their subject population, until they in turn faltered and the cycle started anew. Salzman's tour de force lies in updating Ibn Khaldun, demonstrating how the dual pattern of tribal self-rule and tyrannical centralism continues to define life in the Middle East, and using it to explain the region's most characteristic features, such as autocracy, political mercilessness, and economic stagnancy. It accounts, likewise, for the war of annihilation against Israel and, more generally, Islam's "bloody borders" – the widespread hostility toward non-Muslims. 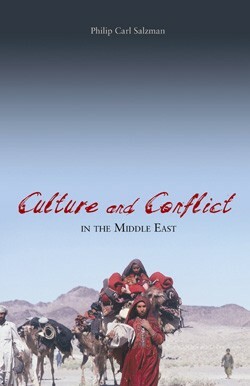 Philip Carl Salzman's "Culture and Conflict in the Middle East," from Prometheus Books. Marrying one's daughters to cousins, as a way for the family to benefit from their fertility. Practicing polygyny, so as to benefit from the fertility of multiple women. Scrutinizing other families' females, hoping to catch them in an immoral act, thereby compelling their men-folk to kill them and forfeit their fertility. This last point suggests that balanced opposition largely accounts for the well-known Middle Eastern custom of "honor killing," whereby brothers murder sisters, cousins murder cousins, fathers murder daughters, and sons murder mothers. Significantly, the woman's indiscretions are tolerated within the family and lead to murders almost only when they become known outside the family. More broadly, balanced opposition means the Middle East lacks abstract principles by which to measure actions "against general criteria, irrespective of the affiliation of particular actors." Instead, intense particularism requires a family member to support a closer relative against a farther one, regardless of who may be at fault. Tribesmen and subjects, not citizens, populate the region. That most Middle Easterners retain this us-versus-them mentality dooms universalism, the rule of law, and constitutionalism. Trapped by these ancient patterns, Salzman writes, Middle Eastern societies "perform poorly by most social, cultural, economic, and political criteria." As the region fails to modernize, it falls steadily further behind. It can advance only by breaking the archaic system of affiliation solidarity. "This is possible not through the replacement of traditional groups by newly conceived groups [such as political parties], but by the replacement of groups by individuals." Individualism will make headway among Middle Easterners, however, only when "what they are for is more important than whom they are against." That fundamental change may take decades or even centuries to accomplish. But Salzman's deep analysis makes it possible to understand the region's strange affliction and to identify its solution. Jan. 24, 2008 update: I flesh out this theoretical analysis at "Applying Philip Salzman's Theory to Gaza." centuries of mixing three ways of life – nomadism, peasant agriculture, and urban commerce – in arid and semiarid lands, combined with the widespread adoption of Arab culture and Islam, have formed a "cultural area" with distinctive patters of development from infancy to old age.